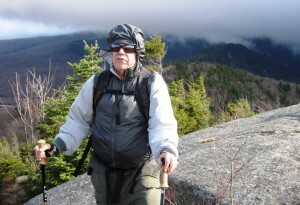 I had been hiking and backpacking a long time before I started doing reviews for hiking and backpacking. With the growth of the internet, I became aware of reviews and started reading them before buying equipment. Equipment is expensive and I wanted to buy once and not have to return an item because it did not work as expected or the product failed when I thought it should not. Then I got the idea to compare products with products I already owned. It took time before I realized why some items behaved slightly different from my experience. I came to the conclusion that geography comes into the testing. Since I am using my gear almost all the time in New England, it would be better if I read reviews written by people in my hiking area. Some items don’t make much difference where they are tested but others do make a lot of difference. When I had trouble finding reviews written by reviewers in my area, I decided to start testing and writing reviews. I enjoy being outdoors and I enjoy the company of the people with whom I hike and backpack. Some I have known for about 12 years so we are very familiar with our capabilities and we are very compatable. I have been testing for over 4 years. I have been asked why I do testing. The answer is not just to get free equipment. I spend a lot of time writing the reports, besides the time and effort to get the testing done. Timing can be a problem. A piece of gear may arrive either before or after best weather conditions for that gear. Fortunately this does not happen very often. When it does happen, I sometimes have to buy something to support the test item. This sometimes leads to finding a better way to solve the dilemma. I learn a lot from the experience of testing. I examine the equipment more closely so I can write a comprehensive report. I hike or backpack at least once a week. At my age, I very seldom do these activities alone anymore. These are fun activities and I look forward to doing them. I try to take pictures, which help me in my reports when I get home. So far it sounds like it is all fun. For the most part it is fun, but when a product is not living up to expectations, I really try to understand why it is not meeting goals I think it should meet. Having spent most of my career as an engineer, I feel an obligation to find a reasonable explanation when a product did not meet published information on the product. When I am doing an outdoor activity, I take all the items that I can use on this activity. One of the fun aspects of testing that I had not expected, was receiving email from readers. Everyone who has written me has thanked me and has posed one or more interesting questions. I especially like the ones I get from college (mostly MIT) students. Comfort is part of the fun and it is only second to being safe. For me here is nothing like a hike, setting up camp, having a small meal. The meal is small so I don’t have extra weight. Then getting into the tent and usually sleeping better than I do in my bed at home. Now for the things that I do not enjoy as much. When I was in college and for about 30 years after graduation I was able to write reports fairly easily and quickly. That has changed, and now I do struggle getting what is in my mind formulated into words in print. I could never do this for a living. There is a lot of new material coming to the market all the time. I am looking forward to continue to be a reviewer who has lived all his life in New England and spends most of his time using the equipment in New England. Hope you liked this article and most of all would like to meet you on the trails. My trail name is Brow Master and when you see me you will understand.